Here we have for you all the new Anarkali dress designs 2019 suit and frock collection from topmost designers of Asian territory. 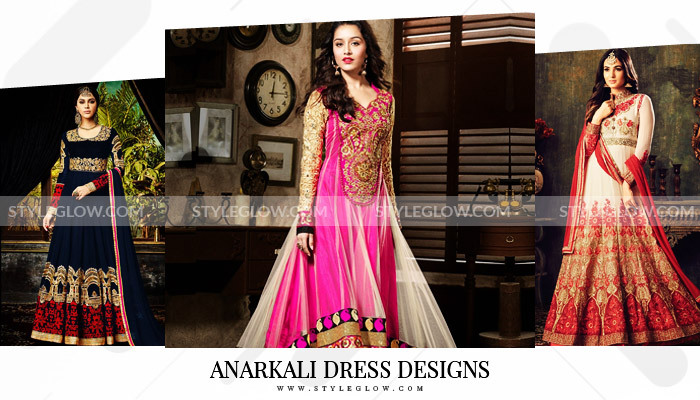 The advanced and embellishing dresses when it comes to frocks is the Anarkali dress. Ladies show immense interest and an increase in demand because of its soothing design and comforting characteristic. Anarkali frocks are present in many mesmerizing color schemes and heavily embroidered layouts. 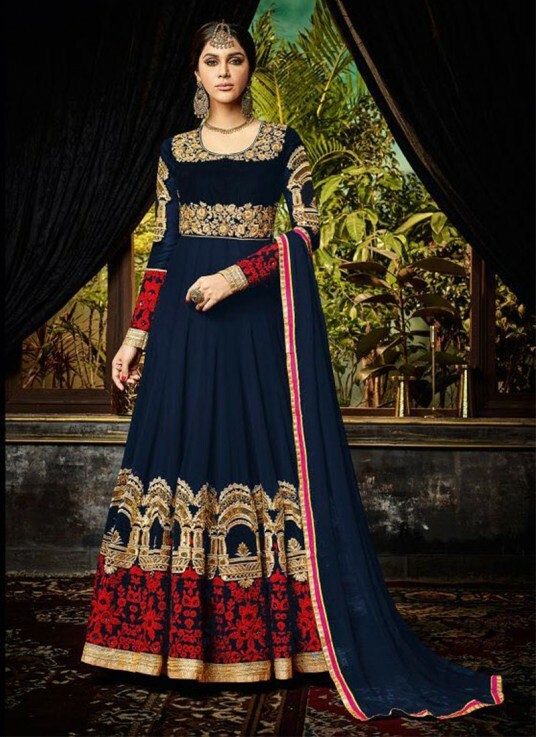 Young girls and almost women of every age are always observed to be in favor of Anarkali suits and frocks especially when it comes to wedding functions and parties. Anarkali dresses are normally worn with churidar pajamas but women according to their ease, wear frocks with trousers also. Stylish dupatta with an Anarkali frock is mostly kept simple but also women apply an embroidered one because it gives a unique look. Women implement dabka work mostly on the necklines and go for an embroidered front to make the dress more attractive. Most women in Pakistan like Anarkali dress designs in long format but girls also go for short-styled Anarkali dresses. It is your preference to wear it in short or long form because the fashion trends tend to keep shifting and enhanced with time. That’s the biggest reason why women are possessive and want to get the best type of dresses which should be latest, unique and elegant. Women in Pakistan and India are seen wearing it for centuries. Anarkali frocks are fabulous and women wear the dress in the subcontinent. Our old tradition movies also show us a bright demonstration of these dresses with classic looks. The reason behind is the royal grace and beauty that an Anarkali dress possesses cannot be equated to any other. Check our impressive collection of bridal engagement dresses. Wearing such an outfit on any occasion especially at parties and unique gatherings will make your personality stand out in the crowd. Bridal frock designs or any party wear dress can be worn with luxurious prints. You will find all new styled Anarkali dresses gathered beneath by our team which women are crazy about. Chiffon and silk are the best combinations for the fabric of any frock type and give the dress a regal appeal. Anarkali dresses have always been in trends and these Mughlia traditioned dresses are worn even today and stitched by designers also. Pakistani frock designers stitch such designs that glorify the harmony and traditions of the community and when it comes to Anarkali dress, they really pick a unique style dress that demonstrates the cultural heritage. Top designers in short frock dresses and suits include HSY, Nomi Ansari, Tena Durrani, Asim Jofa, Sania Maskatiya and many others. Frocks are mostly worn with high heel ladies shoes to have a modish look. The Indian embroidered Anarkali Frock in cornflower blue, green, red, with a matching color trouser and a bluish red colored dupatta, is the choice of every young lady. The Indian frock also possesses a black embroidered bodice, along with light gold weaved emblems on its fabric and patches on the sleeves. The royal look on the suit is sustained by the style of Zari work, with embroidery concentrated on the neckline, sleeves, plus border of the shirt. Our latest designers saree designs have multiple kinds of stuff in them as well. For parties and activities that include harmony and joy, you can choose from these suits to gain that ideal appearance that you dream for. Stitched from plain party dresses to some elegant piece of artistic beauty, you surely can be easily spotted on any occasion. Enjoying your functions with a relaxed and comfort zone you really need to grab from the collection gathered here. 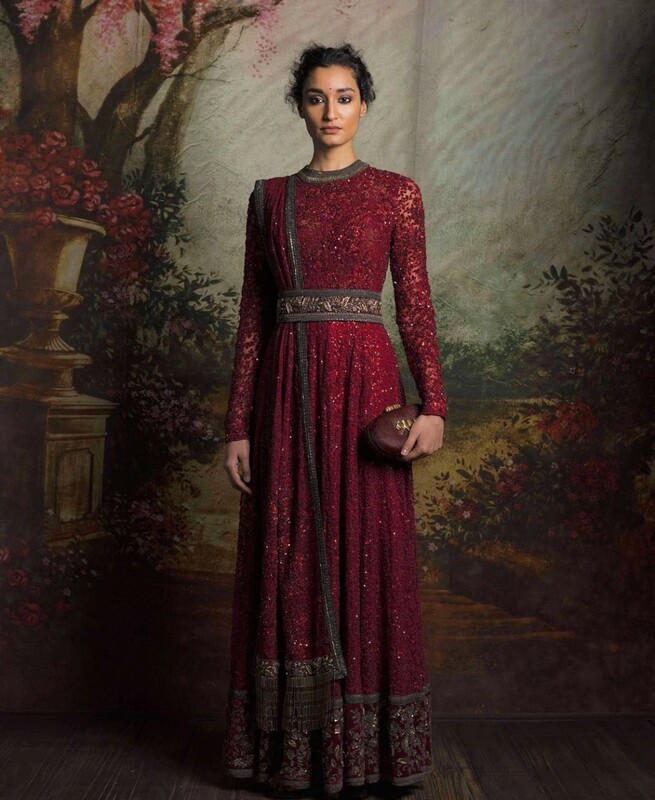 Now by seeking these New Anarkali dress designs 2019 suit and frocks Collection, hope you are well aware that what styled frock or suit to wear on your coming festivity. These designs are the most common among Asian traditions and from young girls to elder women, everyone wants to gain a mesmerizing look on any kind of occasion. So get ready to be the attention seeker for your upcoming event.